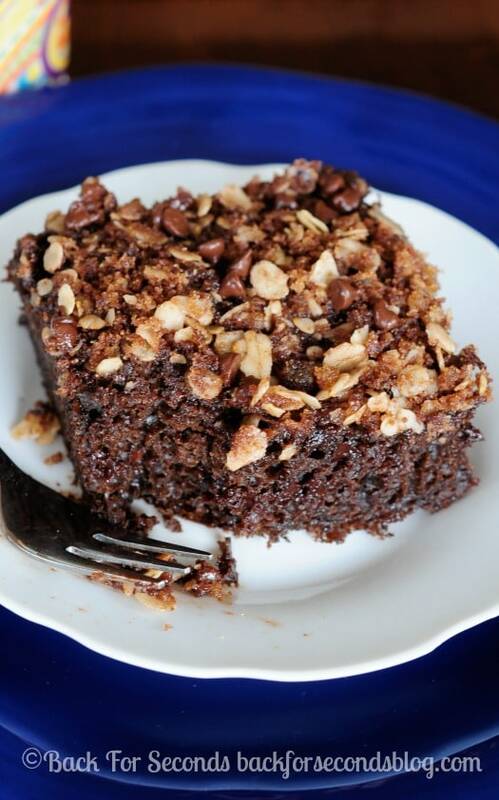 This Chocolate Coffee Cake is light and moist with a rich chocolate flavor and delicious streusel topping. Bonus! It’s made with Greek yogurt and no butter! This one is for my fellow chocolate lovers! 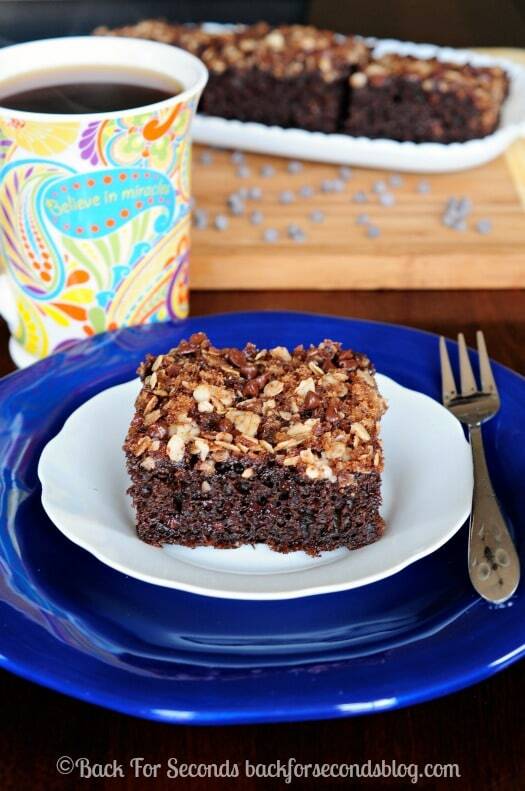 Isn’t it great that if you call cake “coffee cake” it is acceptable to eat for breakfast or just as a snack?! For that very reason I wanted to make you a coffee cake. I even made it pretty healthy so now you can eat it without guilt! You’re welcome. 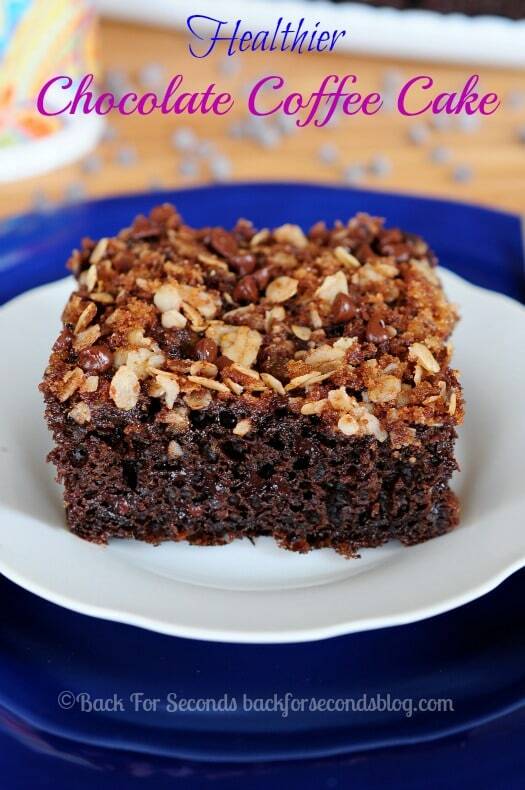 My favorite part about any coffee cake is the streusel topping, and this cake has a chocolate version!! It has a light crunch from the brown sugar and lots of little melty pockets of chocolate from the mini chocolate chips. Love the addition of greek yogurt, this looks delicious! So mouth watering! That seems amazing! Thank you! I was trying to find a recipe without a ton of butter. I made it even healthier and substituted applesauce for the oil in the cake (not in the topping). For someone who asked about calories, I halved the recipe and it made 9 pieces in a 8×8 pan. Each piece is about 180 calories. Can I replace canola oil for coconut oil?